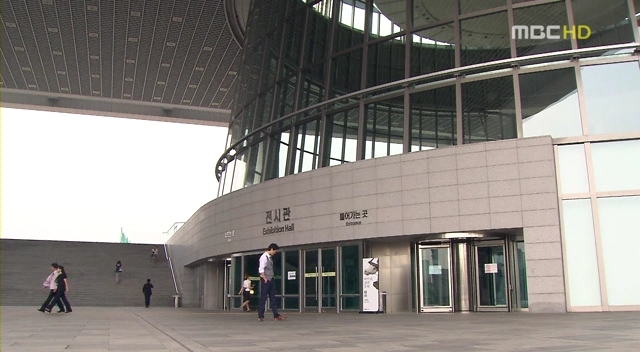 The place where EVERYTHING started in I Do I Do – Choong Baek’s 포차. 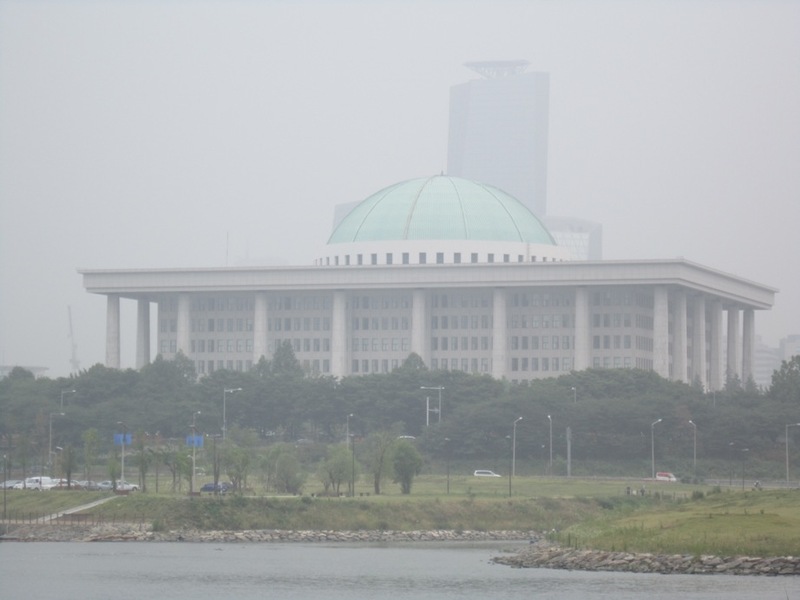 서울시 양천구 신정동 902-1 산정빌딩 4층 403호. Take subway line 5. 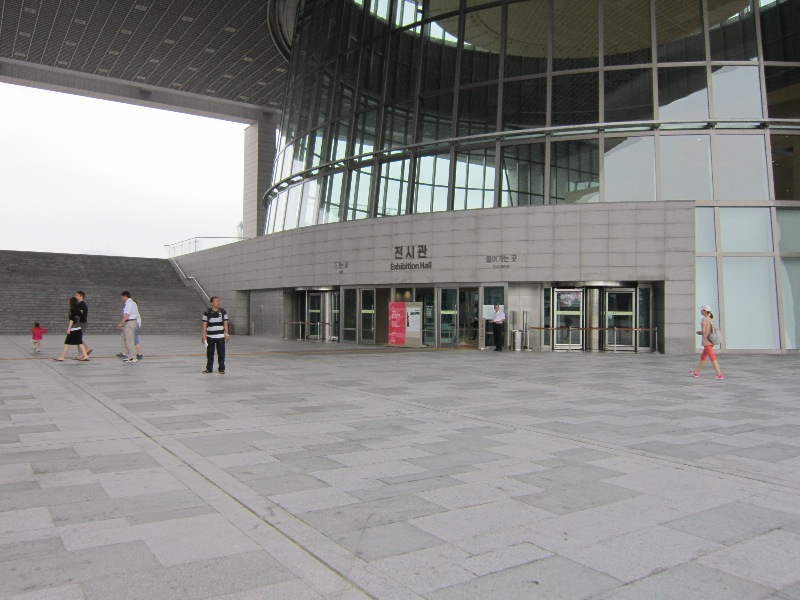 Get off 목동역 exit 1. Walk straight for a few meters. It’s on your left, right next to a 노래방. 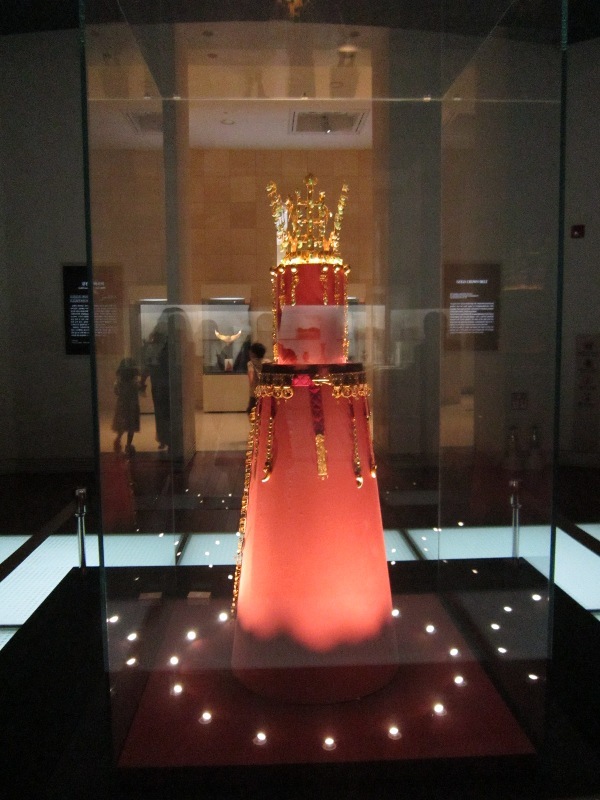 Whenever Korea’s National Museum is mentioned, When It’s At Night is always the first thing that comes to my mind. Why not? 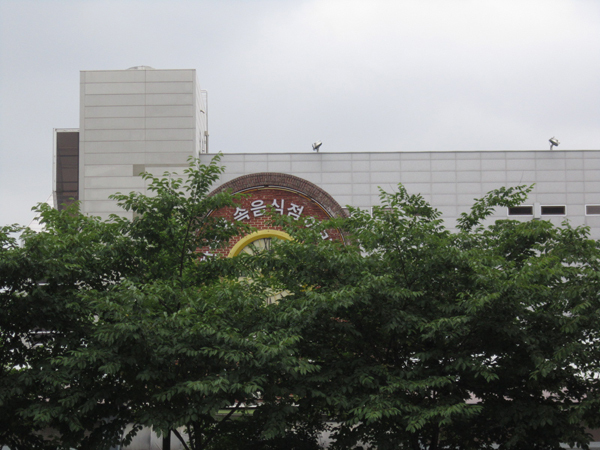 If more than half of My Name Is Kim Sam Soon was filmed on Sam Shik’s restaurant, more than half of When It’s At Night was filmed at the National Museum. 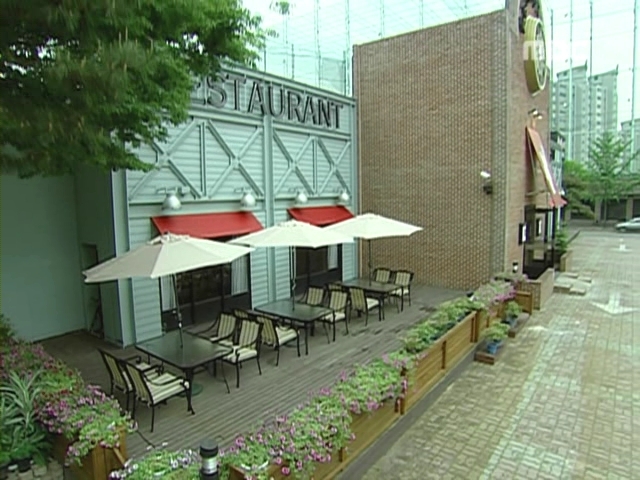 After the drama finished, there used to be a tarpaulin of a photo of Kim Sun Ah and Lee Dong Gun in this cafe. But it’s gone now. Instead a photo of a different was attached to one corner (and I didn’t bother checking which drama it was). 1. 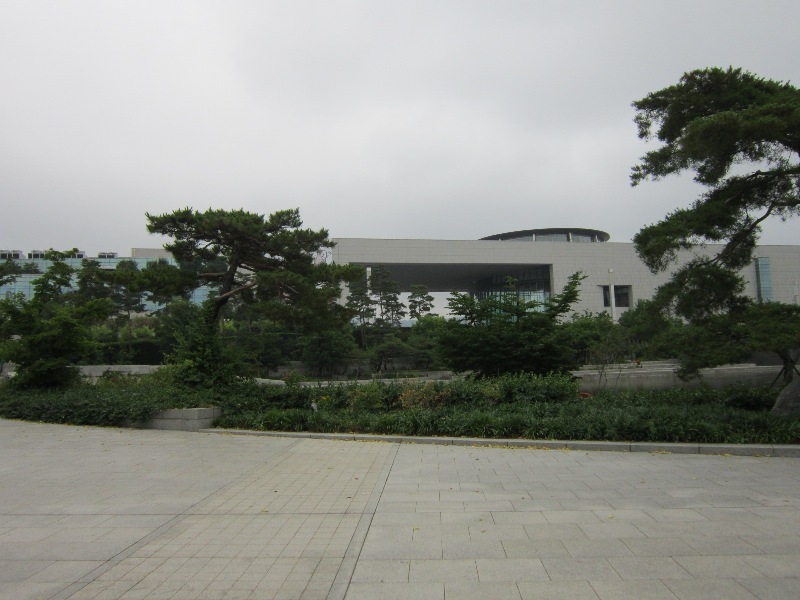 I wasn’t able to go around (especially the park areas because we don’t have much time (on my two visits to the National Museum). 2. I haven’t seen When It’s At Night for a veeeery long time, so I can’t remember where exactly most of the scenes were and what National Treasures appeared on the drama. 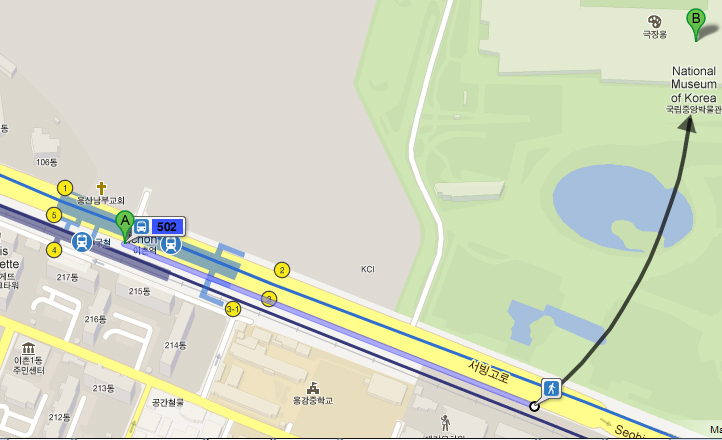 Get off 이촌역 and basically it’s just around the corner. You can see it right away. You won’t miss it. 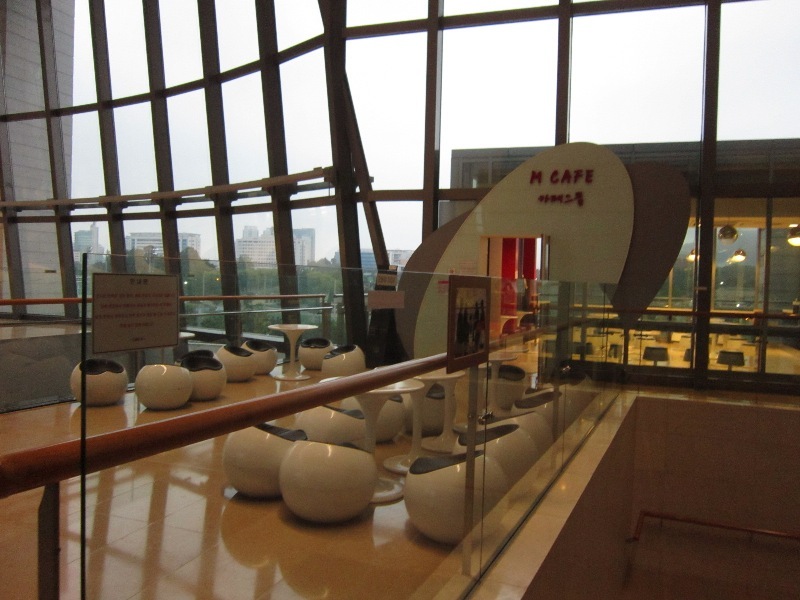 The M cafe is on the second floor. 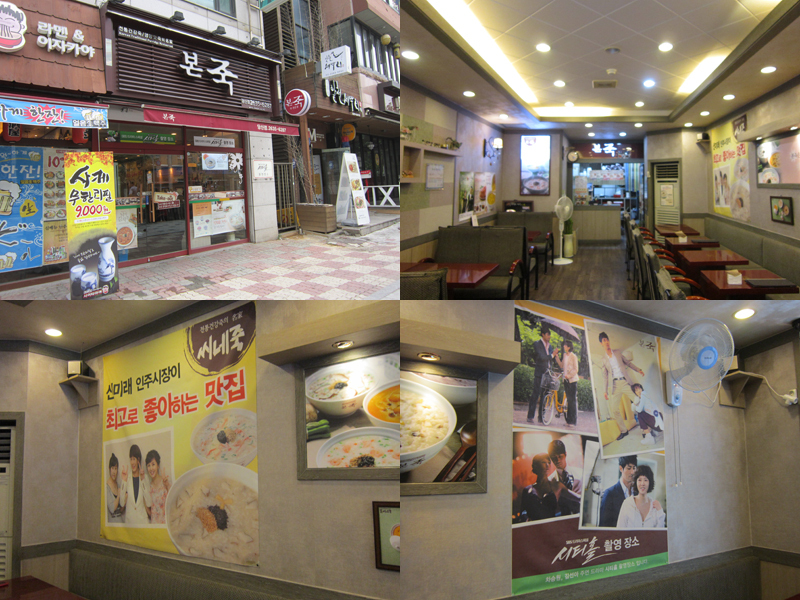 My first ever stop was My Name Is Kim Sam Soon‘s Bon Appetit restaurant. Probably because it was the easiest one to find and is also near the area that I am going that day. And it’s a good thing, I thought. After all my “relationship” with Korea started with My Name Is Kim Sam Soon and we all know how big of a role this restaurant have in that drama. Me and my friend kept walking until we saw the famous clock from the main street. 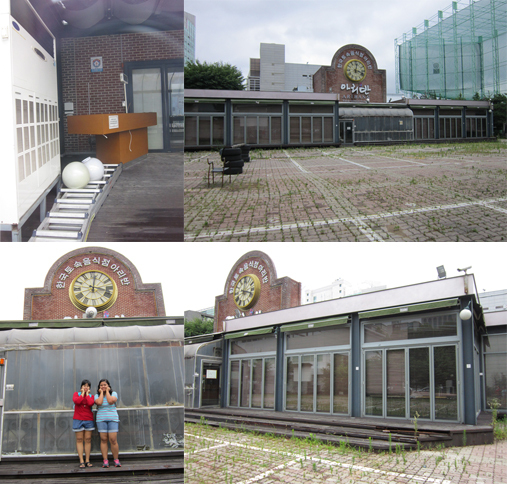 We got really thrilled when we saw the tip of the clock of that famous filming location for Kim Sam Soon. The place is now a total rundown. 😦 It was renovated so it doesn’t look the same anymore, though there are still traces of materials from the original building (like the clock, the bricks, the flooring, the doors, and the tiles. It’s so sad to see wild weeds sprouting between the tiles and the abandoned restaurant stuff inside. It looks like no one has stepped inside for a loooong time. 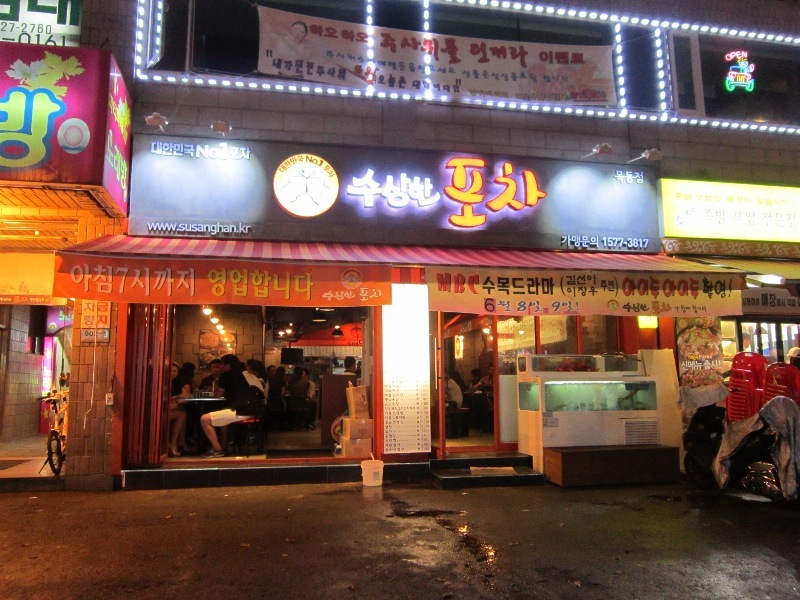 When the drama was filming it was Hippo Family Restaurant. Although the drama named the restaurant Bon Appetit, you can still see some logos of Hippo on it. Then I heard it was closed after the drama (my thoughts: they scouted for a restaurant that is about to close – since the drama needs the location for a long period of time it would be difficult for both the restaurant owner and the production staff to use a place that is currently operating). 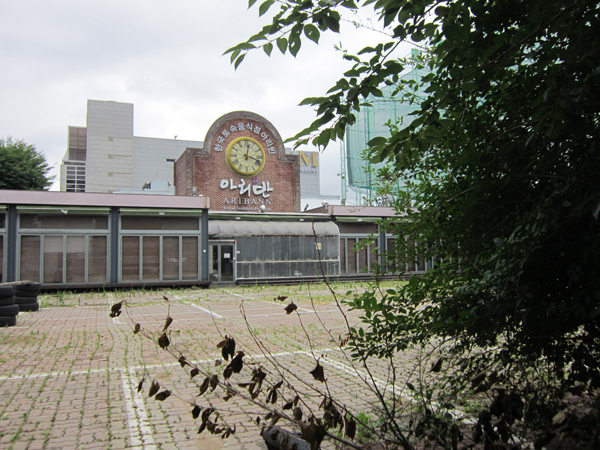 Then it was renovated and turned into Todai Restaurant (Western Restaurant I’m guessing). There are still logos of Todai on the building when we went there. I think they are the reason why the clock was pushed back instead of the original position. 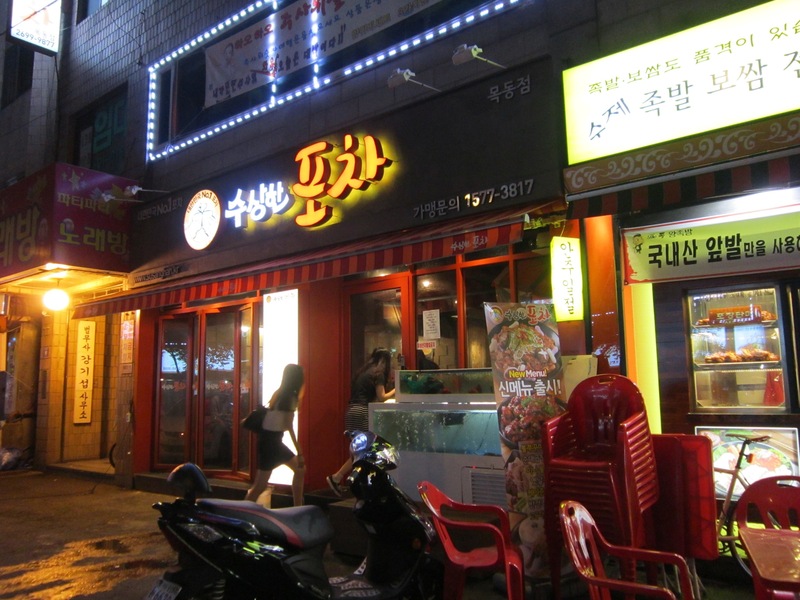 But we also noticed that there was a different restaurant name on it – Aribann (a Traditional Korean Restaurant). I don’t know why the place was abandoned. 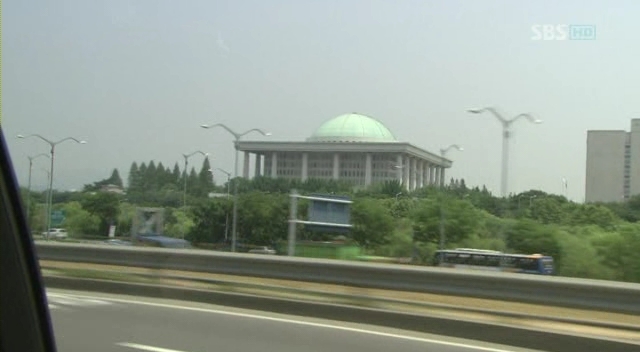 If only I had the money I’ll buy the place and make it alive again, just to relive the Kim Sam Soon memories. I promised myself I’m never going back to that place. It just makes me feel sad. Me and my friend felt really really sad after we need to cheer ourselves up. There’s something in the place that would make anyone who have seen My Name Is Kim Sam Soon feel gloomy. If you are still interested and doesn’t mind feeling lonely, take subway line 2. Get off 삼성 station. Get of exit 2. Walk straight ahead. It would only take your a few minutes. It’s on your left. It’s not easy to see the place right away because it’s covered by some trees. But if you keep looking up, you won’t miss the clock. 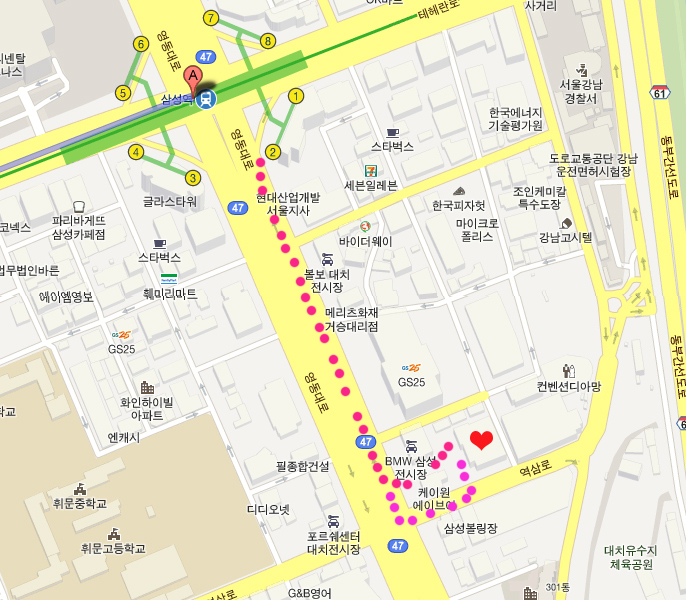 There’s a BMW showroom in front of it (which is just along the main street (영동대로). You can pass by a small door beside the BMW showroom to get to the restaurant. 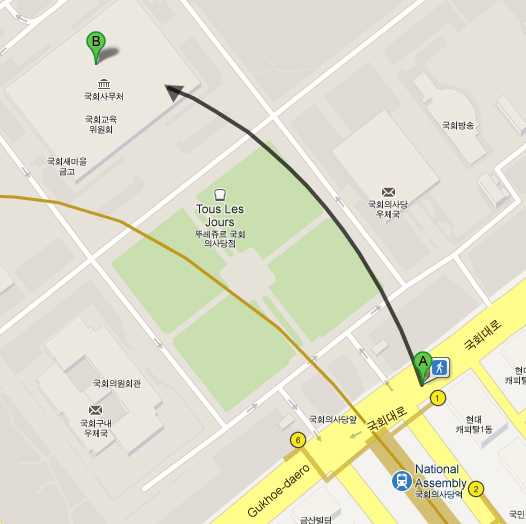 Or you can turn left on the third corner (역삼로). Scent of a Woman, episode 2. Also take note of She’s On Duty. 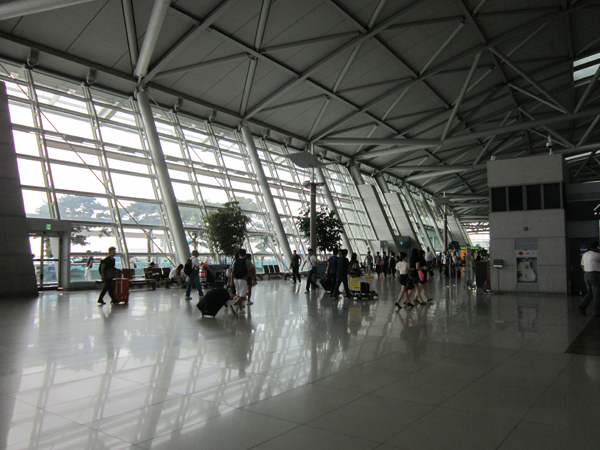 I’ll take more photos on my departure next month.